Check out this fun freebie to challenge visual scanning and visual discrimination skills. You can download it for free by signing up for our newsletter at the end of the post. 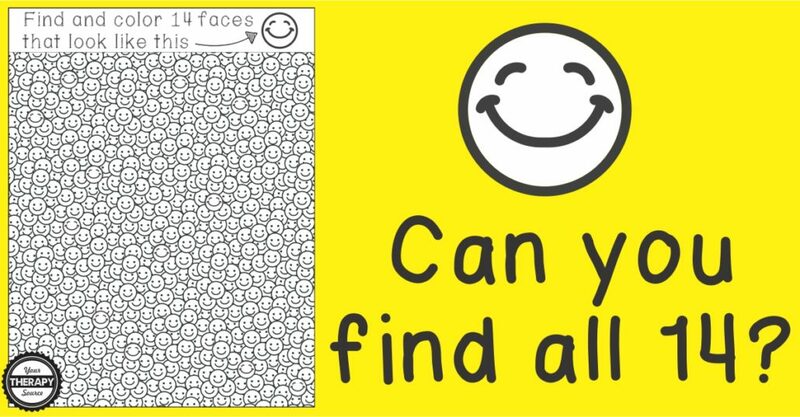 Can you find all 14 smile faces that look different from all the rest? Grab a yellow highlighter and give it a go. 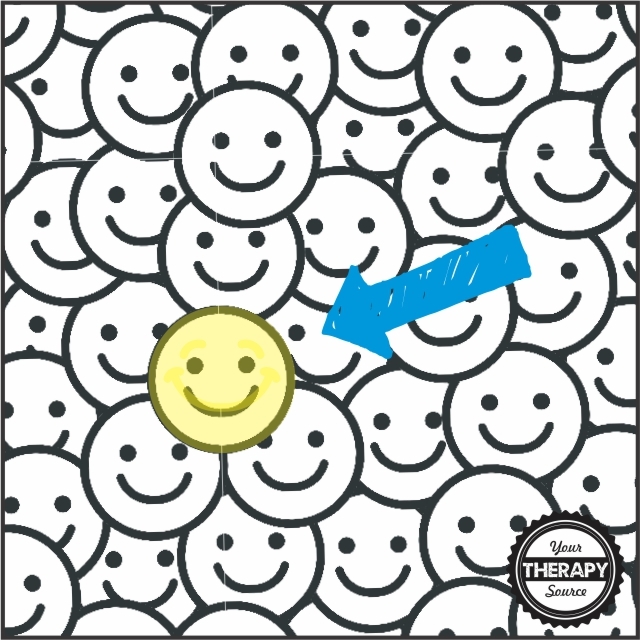 It is certainly tricky to scan the whole paper to find only the 14 smiles faces that look slightly different. So get those visual scanning and visual discrimination skills ready and give it a go! 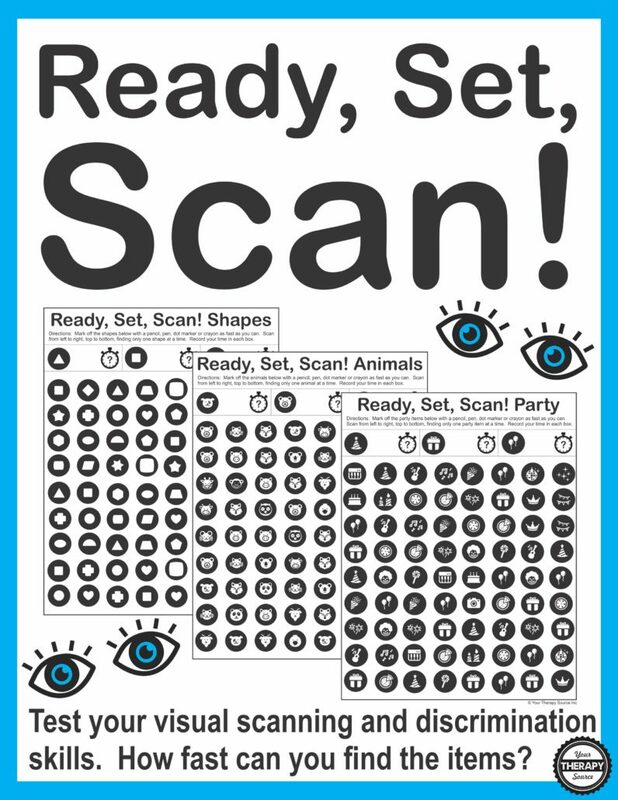 If you need more visual scanning activities check out Ready, Set, Scan – this digital download includes 12 visual scanning and discrimination activities. How fast can you scan, find and mark each item? There are 12 challenges in all with different themes including: shapes, animals, fruit, party, travel and babies. Just print and start the search. Follow the directions: start a timer, scan for one object at a time, mark each object and stop the timer. Record your time in the box provided. Dot markers work great for marking the item. Use a different color dot marker for each item. Need more visual discrimination activities? 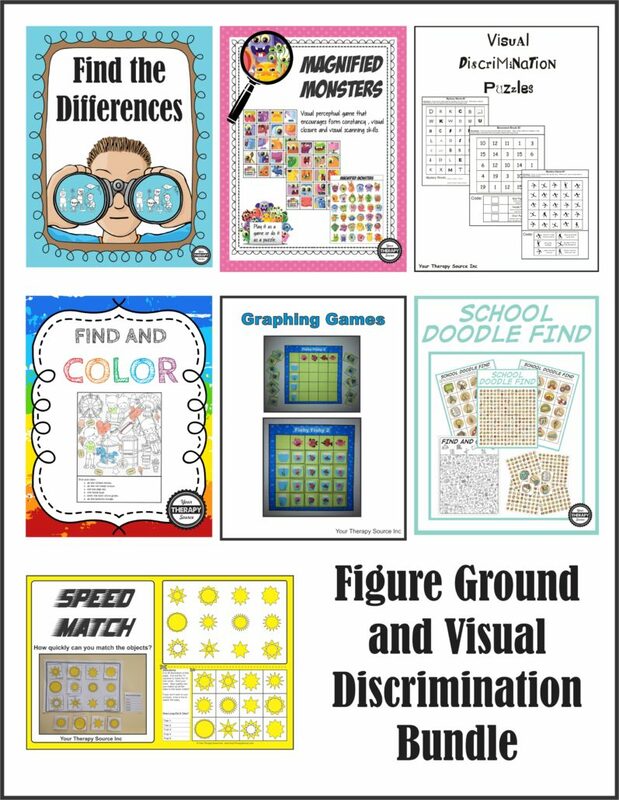 Check out this figure ground and visual discrimination bundle for a huge selection of activities at a discounted price! To get your FREE copy of the Smile Find visual scanning and discrimination activity sign up for our newsletter to get immediate access. If you already are a subscriber, just enter your email and you will be redirected to the download. Feeding Difficulties and Children with Cerebral Palsy Weighted Pencils and Handwriting – What Does the Evidence Say?